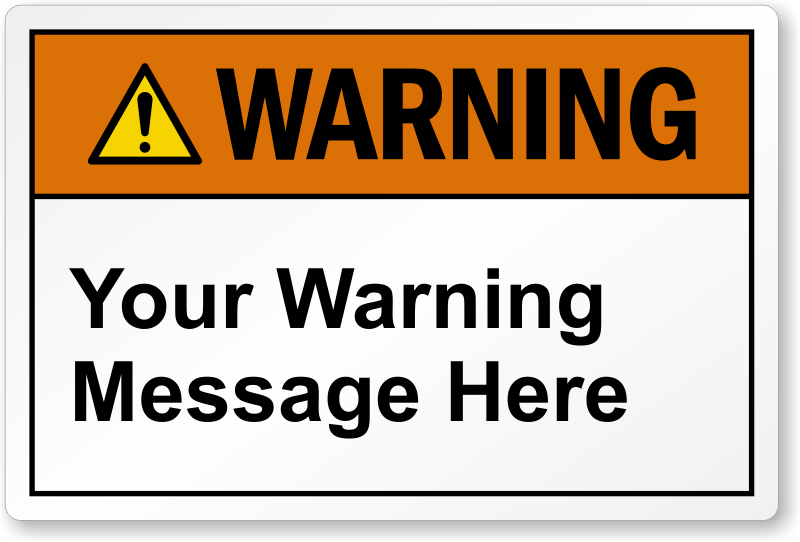 Design your own warning message with our versatile Custom Warning Labels. Custom ANSI Warning Label is large-sized and visible from far. Bold header and text grab attention. Label lasts 5+ years, even outdoors. The labels we ordered were exactly as expected! As advertised, very affordable. Took a long time to arrive but well worth it for the price...and I didn't pay for fast shipping. Would definitely use their services again. Very happy. Custom labels, very easy to create, very easy to order. The site makes it easy to design your own label to say what you want it to say. Shipping was fast and free. Big thumbs up. Great seller, will purchase from this site again.